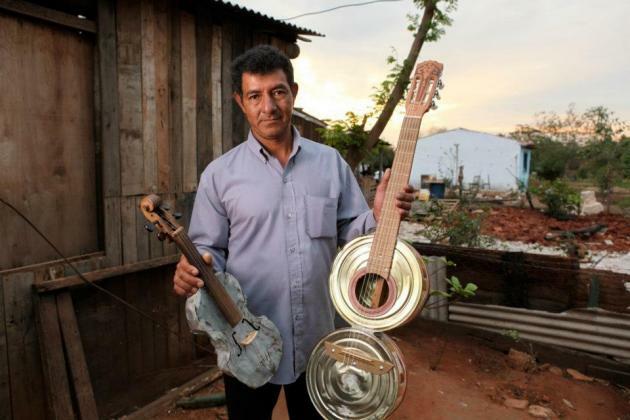 "Landfill Harmonic tells the story of 'Los Reciclados' – 'The Recycled Orchestra' – a youth orchestra in Cateura, Paraguay, whose instruments are made out of the very trash that the town is built on. WHEN FAVIO CHAVEZ AND LUIS SZARAN came to Cateura to start a music school, they realized that they had more students than instruments. 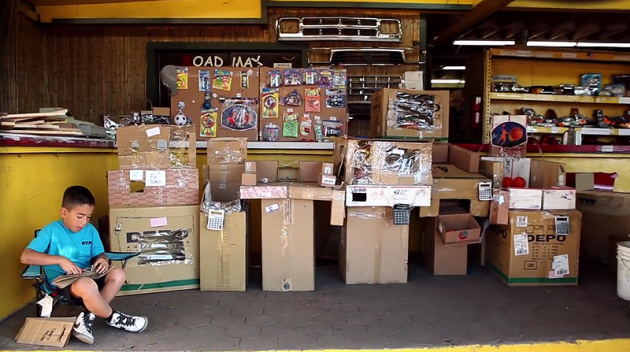 Thanks to the resourcefulness of Cola, a Cateurian garbage picker, an orchestra came together, now featuring violins, cellos, and other instruments artfully put together from trash. Los Reciclados de Cateura, now an independent orchestra, recently performed in Brazil and Colombia under Chavez's direction." Townsley (Director) Jennifer Redfearn (Consulting producer), Tim Fabrizio and Neil Barrett (Directors of Photography) and Monica Barrios (Production Consultant). "If one calls bricolage the necessity of borrowing one's concept from the text of a heritage which is more or less coherent or ruined, it must be said that every discourse is bricoleur. The engi~eer, whom Levi–Strauss opposes to the bricoleur, should be one to construct the totality of his language, syntax, and lexicon. In this sense the engineer is a myth. A subject who would supposedly be the absolute origin of his own discourse and would supposedly construct it 'out of nothing,' 'out of whole cloth,' would be the creator of the verbe, the verbe itself. The notion of the engineer who had supposedly broken with all forms of bricolage is therefore a theological idea; and since Levi–Strauss tells us elsewhere that bricolage is mythopoetic, the odds are that thee engineer is a myth produced by the bricoleur. From the moment that we cease to believe in such an engineer and in a discourse breaking with the received historical discourse, as soon as it is admitted that every finite discourse is bound by a cenain bricolage, and that the engineer and the scientist are also species of bricoleurs then the very idea of bricolage is menaced and the difference in which it took on its meaning decomposes."